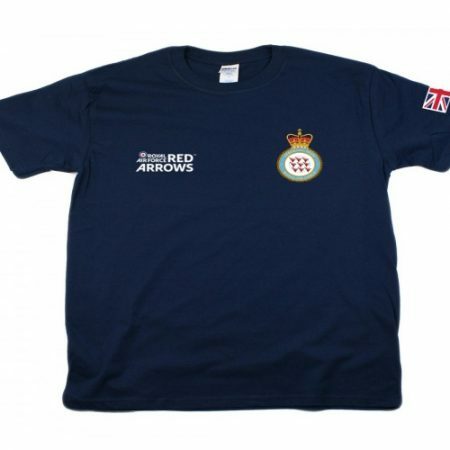 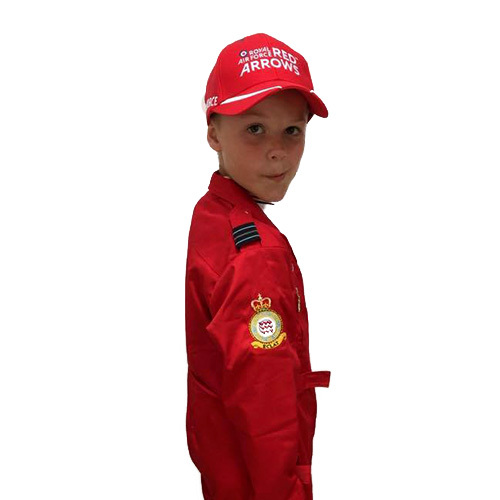 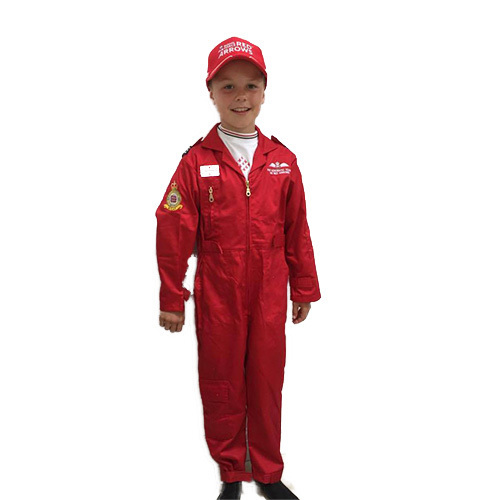 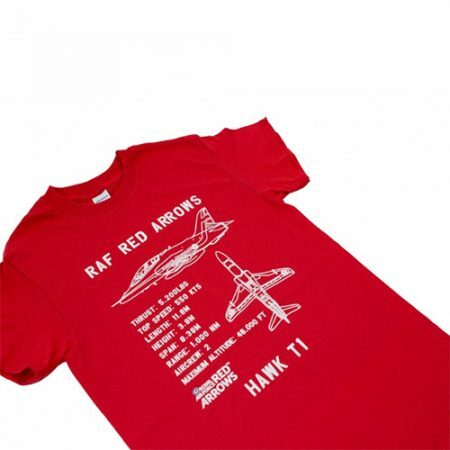 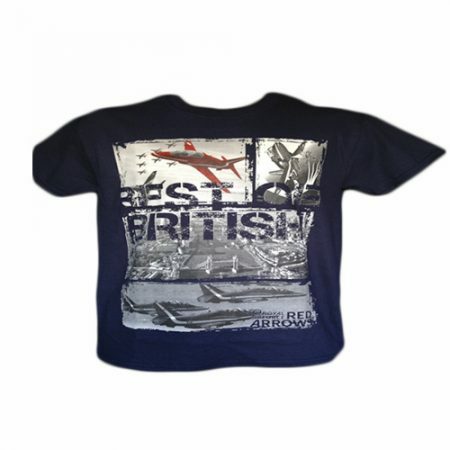 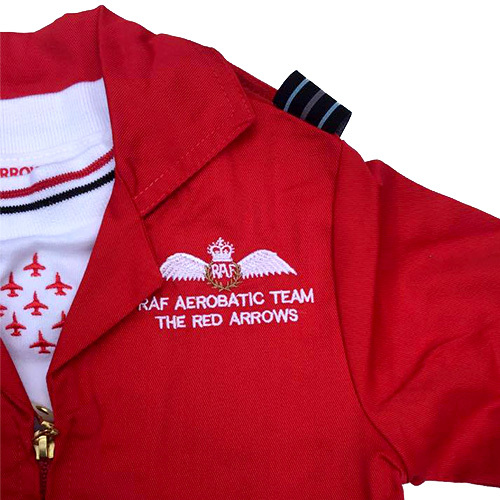 Official licensed kids replica Red Arrows Display Team Flying Suit – fully embroidered with logos on sleeves and left chest. 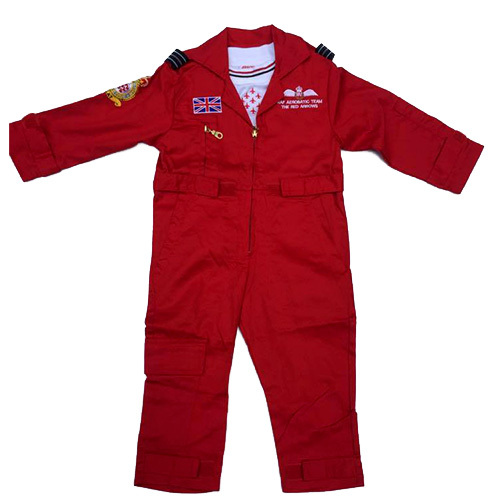 Velcro adjustment at waist, cuffs and legs. 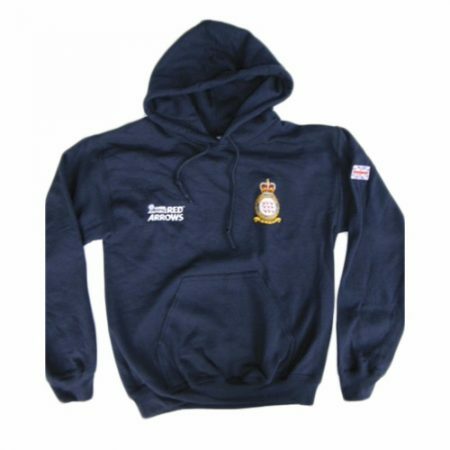 Pen holder on left sleeve, knee pocket on right leg, zip pocket on right chest and RAF rank slides on epaulets.